This will be the very first time Mumbai citizens will have a change to do scuba diving sport activity within city and get to see those trained dancing beautiful dolphins, a best creature with calm heart full of love playing with humans inside a swimming pool that we Mumbaikars till date just saw in movies and other tourist destinations around the world. Same can now be seen inside worli dairy premises that is going to converted to a full fledged Oceanarium as the dairy is now a loss making company. This will be the second fish aquarium of Mumbai which will be larger then the first one located at marine lines (Western Railway, South of Mumbai). Still at planning stage (Since 2012 and 2013) with many changes expected in current plan, This building will have scuba sport in basement, dolphin show facilities, a sea park, bigger fish aquarium with fish massage facilities and more varieties of fishes and possibly a five star hotel all above. 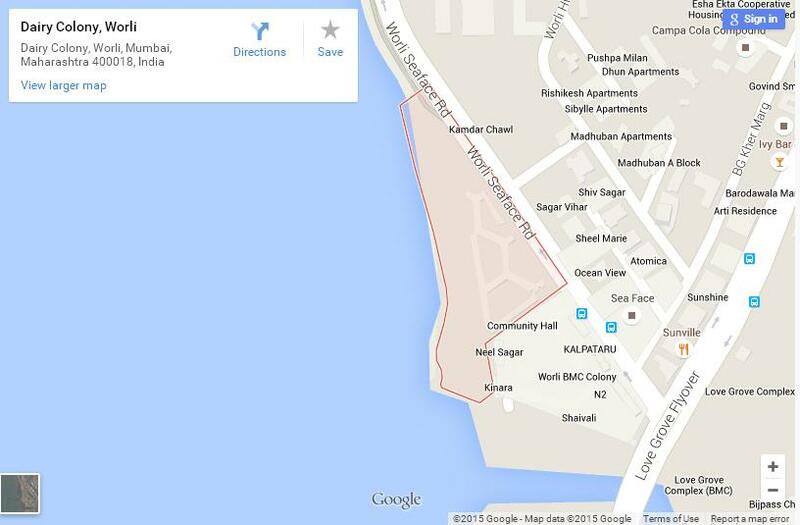 Worli Dairy Location Map (Use the map on left sidebar for more details on this location). More to see when around worli aquarium area are places like Worli Seaface, Dadar Chowpatty Beach, Worli Koliwada Fish Village, Bandra Worli Sealink.